So beautiful when it blossoms, that it was one of my dearest wishes to see it at least once before I die.... Many others also have the same wish unfortunately, which makes springtime flight tickets to Japan extra expensive due to Sakura season. Luckily for me, I fulfilled my wish last year when I flew to Kyoto. I will never forget my first sakura experience. Bunches of countless flowers, so delicate and multi petaled, decked out in my favourite baby pink colour gently swaying in the breeze. As it was nearing the end of sakura season, the petals were falling from the trees like snowflakes, and the ground was littered with hundreds of thousands of soft petals. It was too pretty for words. Other than just being beautiful, sakura also has many uses... Have you tried sakura flavoured ice cream or chocolate? Not only in food, sakura is also used in skincare. as if flowers are blooming on your cheeks! 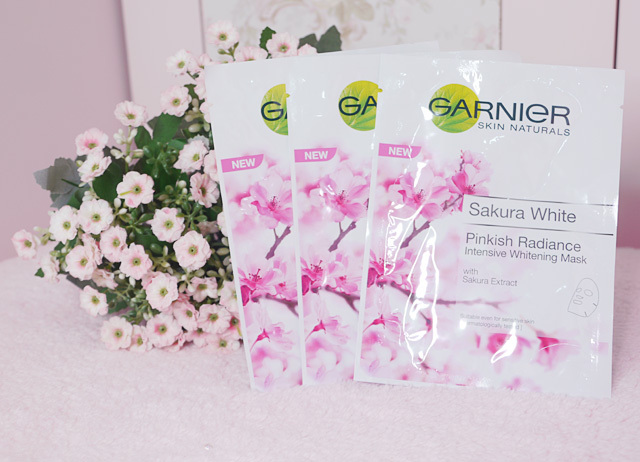 Introducing Garnier Sakura White, Garnier's new range of skincare with Sakura extract! 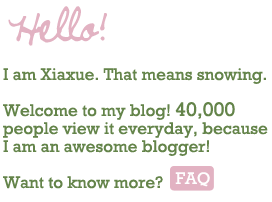 I was so happy when I received the products because just like its namesake, this range is the prettiest shade of pink! 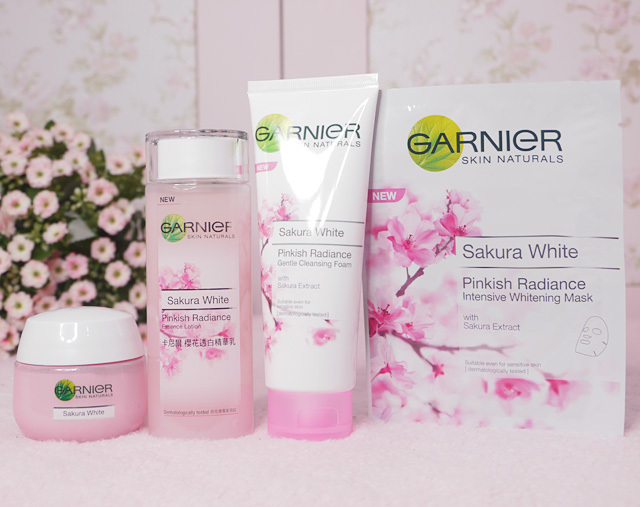 The Garnier Sakura White range is a 4 step regime: A cleansing foam for cleansing, softening lotion for softening, day cream for moisturizing, and lastly, a radiance mask for treatment. +60% more rosy radiance in just 4 weeks! I want all of that!! 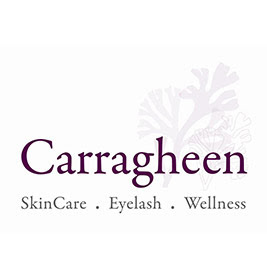 Our skin needs constant tender loving care... With stress, lack of sleep or being in a dry environment too long, skin can become dull and yellow!! Of course, we all hope to achieve skin that is translucent and dewy with a pink flush on the cheeks!! Dash, did you use Garnier Sakura White?? Why is your skin so soft and rosy?? *kisses* Mommy wants to get baby soft skin like yours!! I was most excited about the Gentle Cleansing Foam because I simply love that out-of-shower freshness on my skin. The foam is a gel-like texture and smells like heaven... I love that it reminds me of the scent of sakura and brings back happy memories of my Japan travels! It is gentle yet cleanses thoroughly! My skin feels really clean afterwards. Next step is the softening lotion!! Next step is the Softening Lotion!! This softens skin and also boosts moisture! I love the convenient bottle form, there is no need to use cotton wool, it can simply be pat on the skin with your fingers! The texture is also gel-like and very light. I love how it spread over my skin easily and the after effect is very velvety! If you don't have dry skin or don't sleep in aircon, I think just putting this is enough! It actually moisturizes pretty well too. After childbirth I've been having very dry skin, so on top of the Softening Lotion I dabbed some Sakura White day cream too. The day cream is a little heavier than the lotion... Although it's of a creamy texture, it isn't oily or sticky, which I find causes discomfort during sleep and might cause pimples! I don't just put the cream to bed though! As the name suggests, it is actually a day cream! I tried the cream under makeup and found it works really well, hydrating my face so that my makeup can last longer without my skin producing too much oil to compensate for dryness. Most importantly of all, the day cream has SPF21/PA+++, protecting my skin from the sun! NO SUN = LESS AGING!!! Not to mention, the cream is the most pleasing shade of baby pink! I love it! 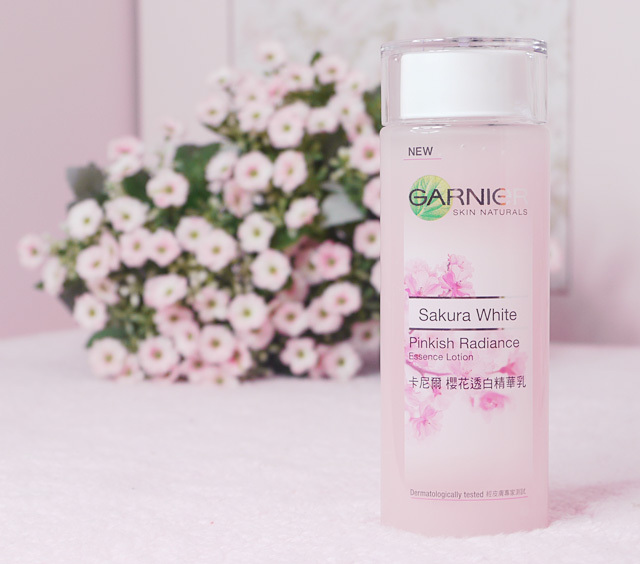 Of course, as an extra step in ensuring maximum pampering for your skin, it is best to occasionally use the Sakura White Intensive Whitening Mask! 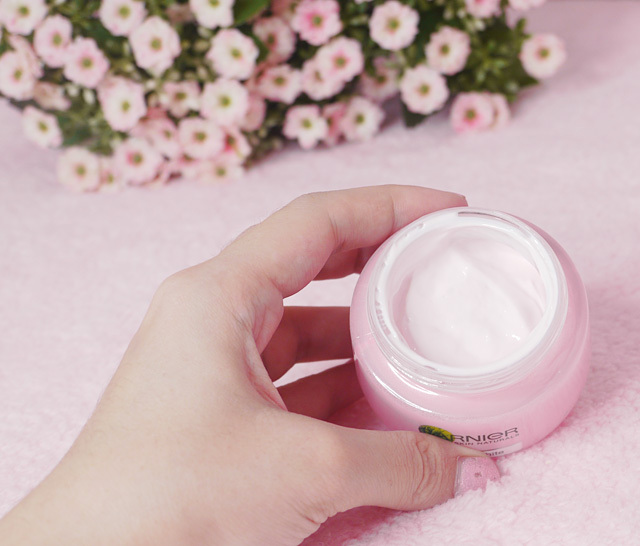 Formulated specially even for sensitive skin, the mask has Sakura Extract to lighten skin tone and dark spots, plus visibly unifies skin texture, revealing a rosy glow. When I tried the mask on I was very pleasantly surprised to know that the mask is very very moist and fits my face really well! Then I read that the mask has second skin technology, specially customized to wrap your face like a second skin, capable of absorbing 10x its own weight which allows the Sakura Essence to infuse deeply into your skin to moisturize from inside out. Another special thing about this mask? Looking for that answer to rosy pinkish skin? 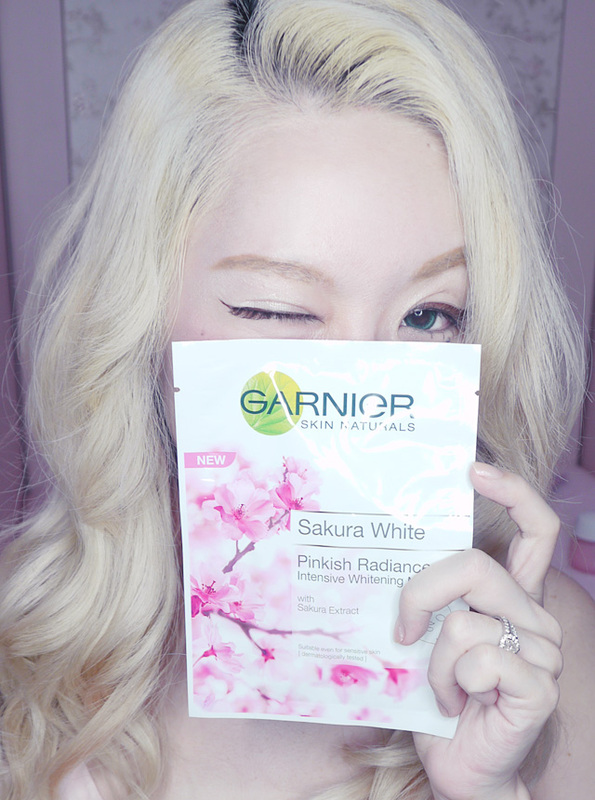 Maybe you want to give Garnier Sakura White a try! Are you also fretting over your skin because of the recent crazy haze?? 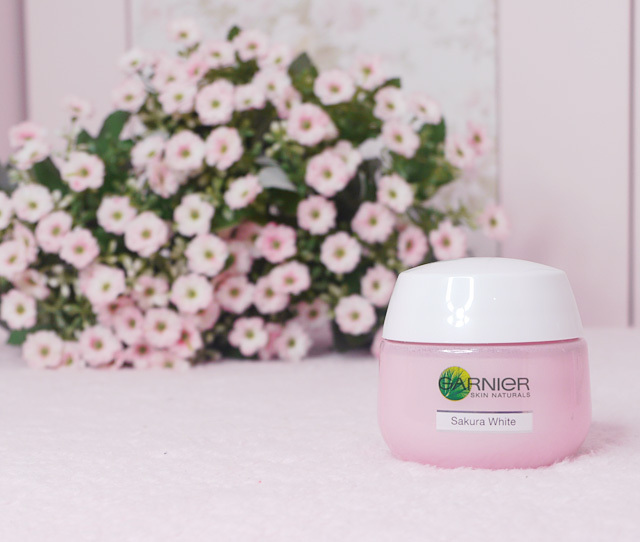 Other than Sakura extracts, Sakura White range also contains other key ingredients, such as Vitamin CG and B3 -- proven to protect and shield skin from pollution. Haze (pollution) causes skin to be dull and dry, Sakura is able to protect us from the Haze! 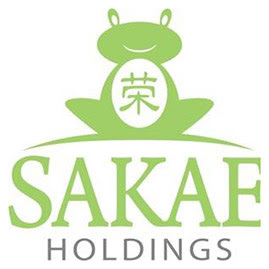 Another interesting property of Sakura Extracts is that soothes & recovers skin from damage. If you get exposed to Haze/ pollution remember to follow the regime to recover your skin. Vitamin B3: Provides a ‘shield’ that protects skin against environmental hazards by keeping skin’s moisture level balanced. Sakura extracts: Anti-inflammatory action that helps to soothe and recovers skin from damage. 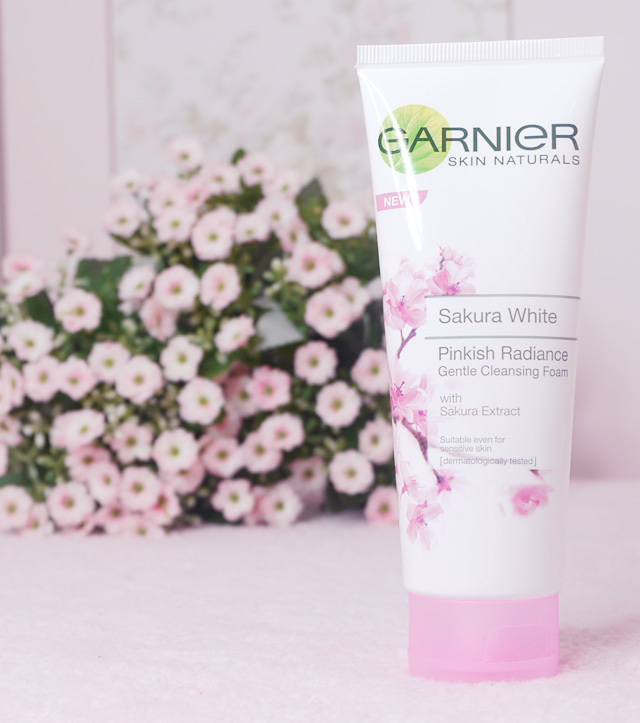 The best thing about Garnier Sakura White that you readers will love? 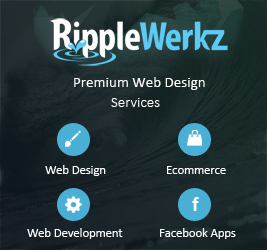 It is very very affordable! For the quality of the products, I was quite amazed to know that none of the products cost more than $25! ACT FAST!!! Promo only lasts until end of July!! Here's to rosy, radiant skin in 4 weeks!!! For more information and a chance to win great prizes, visit and like Garnier's Facebook page!